Bunnies Rabbits. Chocolate Store, the online candy store with chocolate and candy. 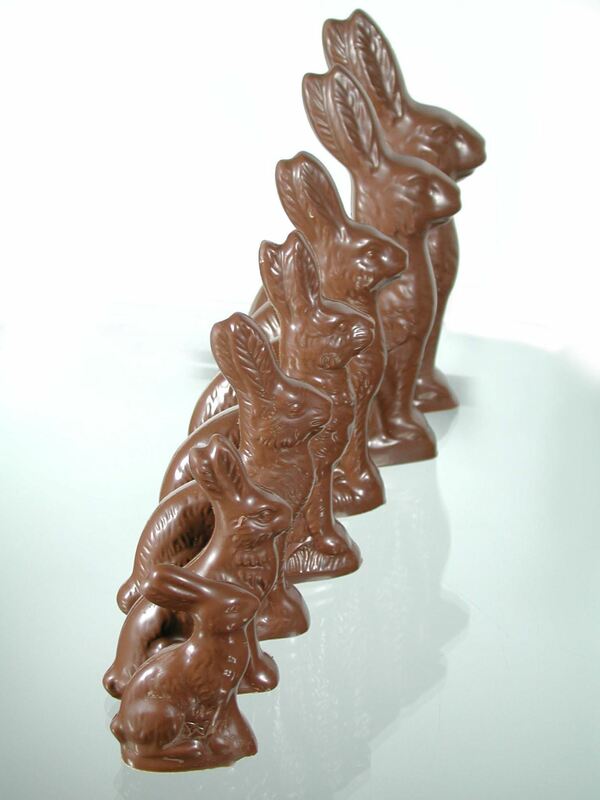 Bunnies – Tradition plays a large part in what people buy for Easter. One of the most beloved traditions is the solid, seated Rabbit. We make this fine fellow in Milk, Dark, and White Chocolate, in a variety of sizes.